Sometimes, all we can do is turn to comfort food — but what and why? According to University of Illinois researcher Brian Wansink, best known as the author of Mindless Eating, our preferences differ across gender and age. "Males preferred warm, hearty, meal-related comfort foods (such as steak, casseroles, and soup), while females instead preferred comfort foods that were more snack related (such as chocolate and ice cream). In addition, younger people preferred more snack-related comfort foods compared to those over 55 years of age," Wansink and his team wrote in Physiology & Behavior. "Men prefer the more &apos;meal–type&apos; items because this gave them a feeling of being &apos;spoiled&apos; or &apos;taken care of&apos;, whereas those same foods reminded women of all the work that went into preparing the meal," according to Cornell&apos;s Food and Brand Lab, where Wansink now serves as director. Me? I do reach for chocolate first. 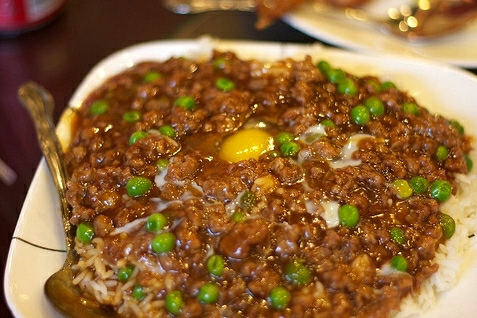 But then, more often than not, I crave a curiously named dish: minced beef and egg over rice. 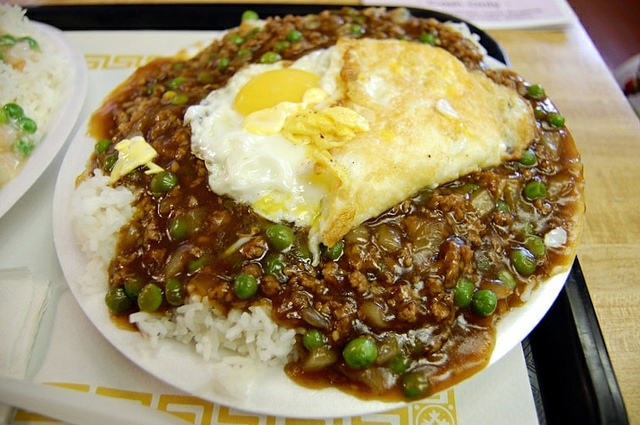 It is, in fact, what we now know as ground beef, but its "minced beef" moniker is an etymological clue to its British colonial history, suggesting its place among a treasure trove of Hong Kong diner-style classics. I haven&apos;t been able to trace the full origins of this particular dish yet, but I do remember it first appeared in Chicago in the 1980s at May May Gourmet Food Inc. in Chinatown, along with the third major wave of Chinese-American immigration. The owners and cooks may have changed over the years, but the core menu has stayed the same. I&apos;m not sure what the comfort food study says about me, but while minced beef and egg is easy enough to make at home, and there are a lot of good looking recipes online, I do prefer to order it out. My current favorite version — where the egg is actually optional, fried or raw — can be found next door to May May at relative newcomer Go 4 Food. (Please note they&apos;re closed on Tuesdays.) But you can find the dish elsewhere, too, now that you know its secret name. And with that, I hope you too find comfort.